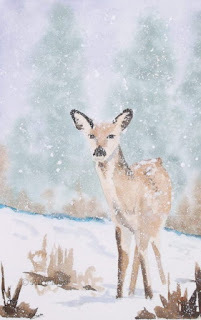 Christmas wishes and a Winter Visitor, painted. My lovely friends, Christmas is nearly here and there's just time for this blog post before the season begins. I'd like to wish you all a wonderful Christmas and a very happy and healthy New Year. 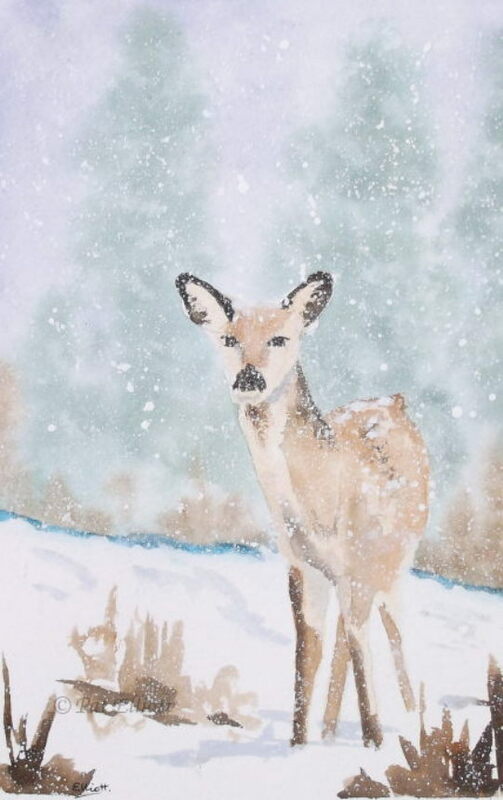 I'd also like to show you this lovely visitor, painted as a Christmas card on a painting exchange. It was painted on a quarter sheet, folded in half to make a large card! Have a blessed Christmas, one and all. Artwork at Sean's, framed by Elite Framing and hanging on the wall! 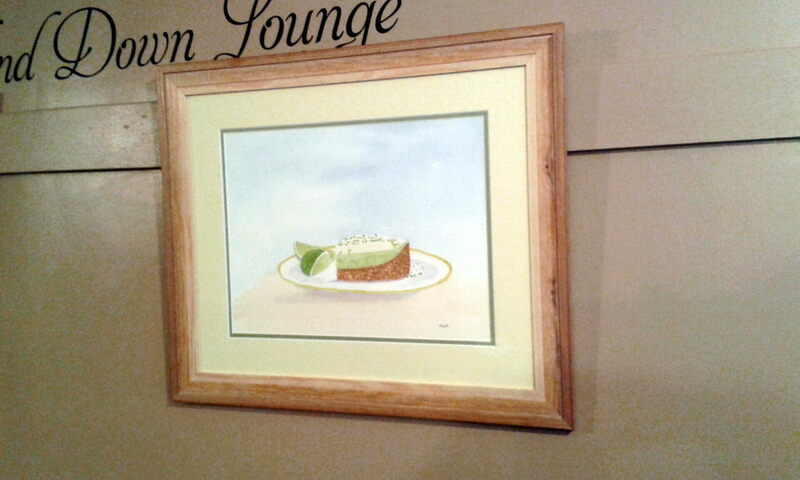 All this week, I've shown you my paintings which are now hanging at Sean's Coffee Shop in Cupar. 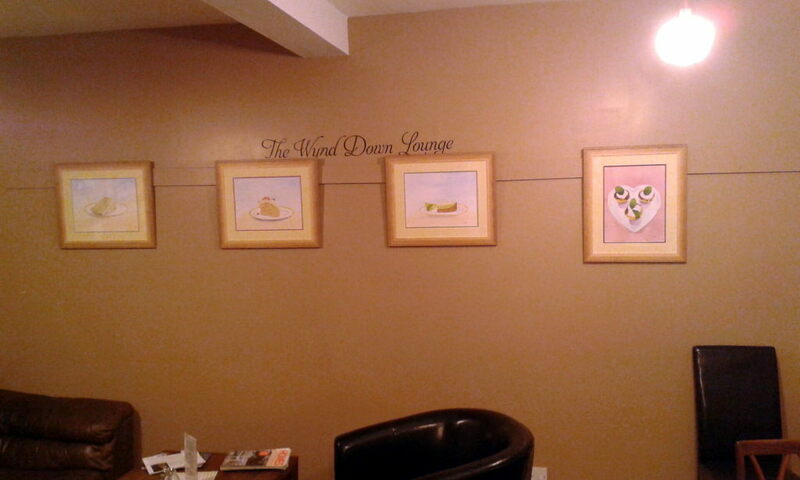 Today, I thought you might like to see them framed and in situ. the framing was done by Elite Framing, Cupar. they're a Fine Art Guild Commended framer and all is done to conservation standards. 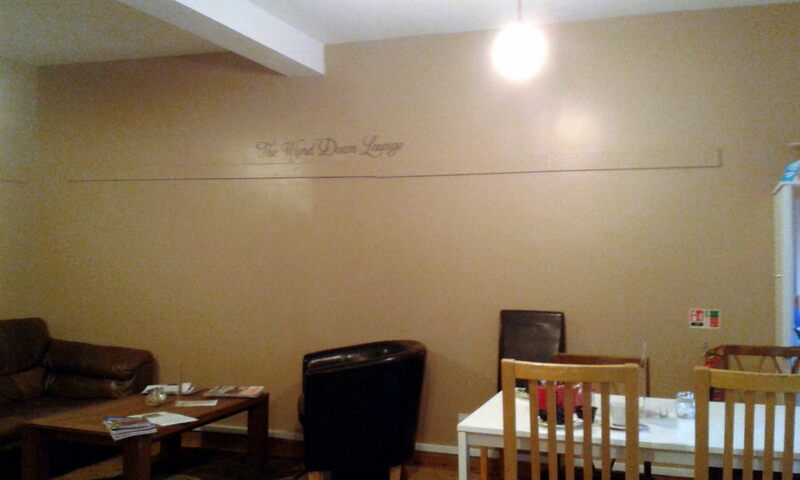 This is how the lounge at Sean's looked prior to the paintings hanging. 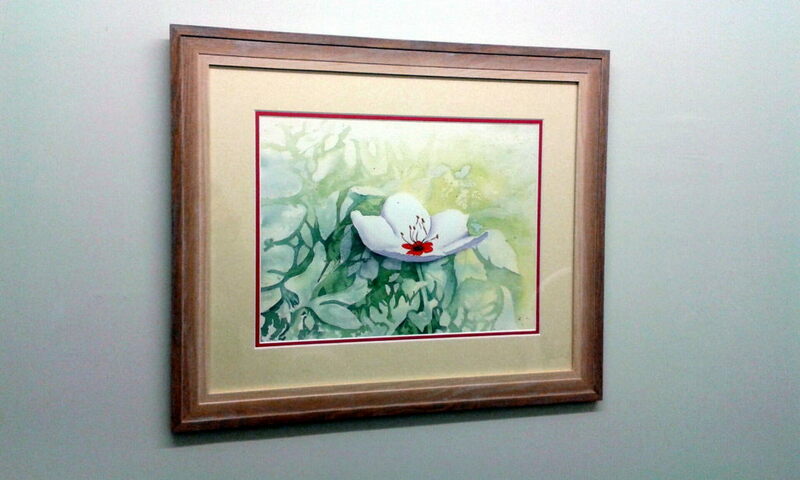 and in the rest room, the floral painting. Photos were taken using a mobile, so the colours aren't exact, but you get the idea! 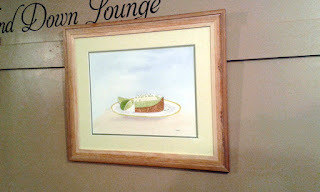 I hope one day you'll be able to visit Sean's and see them in person - as well as sample his delicious cake! Blossoming at Sean's, in Cupar, Fife, Scotland. 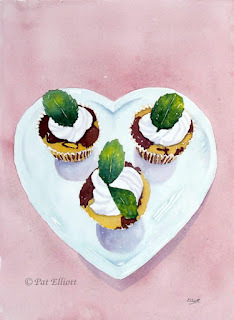 Today we have not a cake painting, but a floral painting. 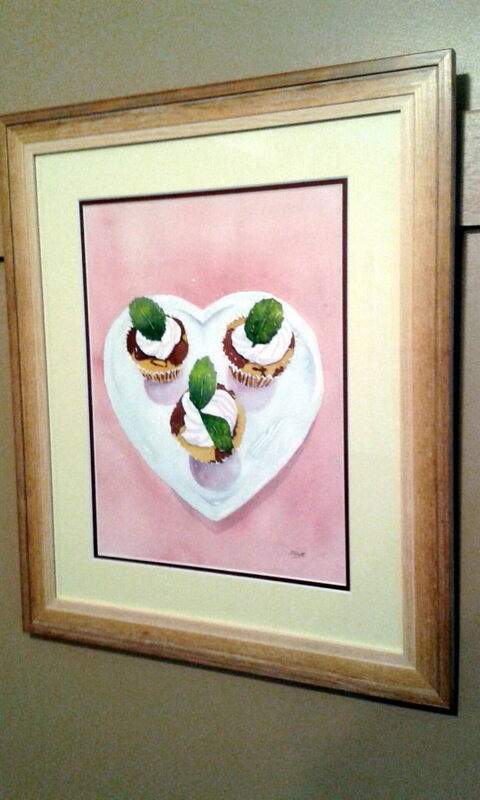 This one too is hanging in Sean's Coffee Shop, but in the rest room. Something beautiful for you to look at, rather than bare walls and the functional sink. 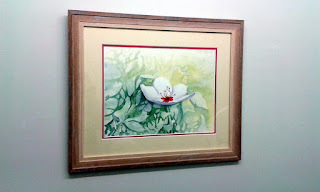 It's been called Blossoming at Sean's, because not only is it a flower, but because it seems my art has done just that. Blossomed at Sean's! 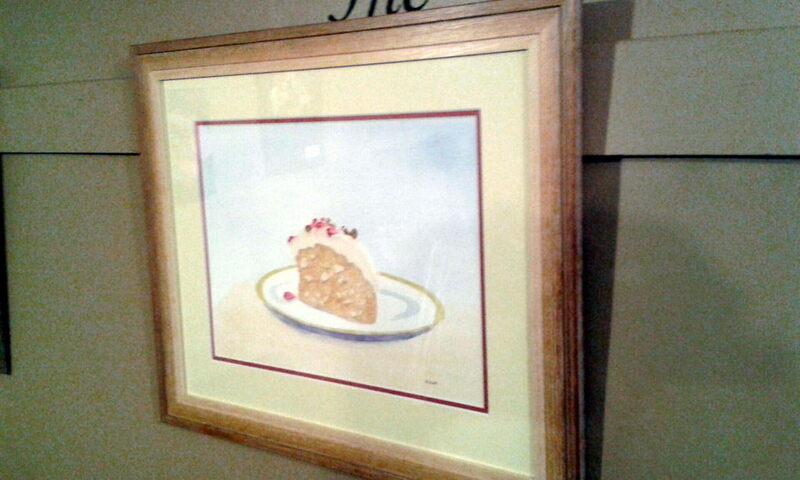 This was painted on Saunders Waterford 140R paper and framed by Elite Framing, Cupar. 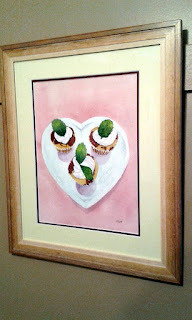 Tomorrow I will show you all of the paintings, framed and hanging in position. If you want to visit Sean's virtually, his Facebook is HERE and his Twitter HERE. Are you still with me? 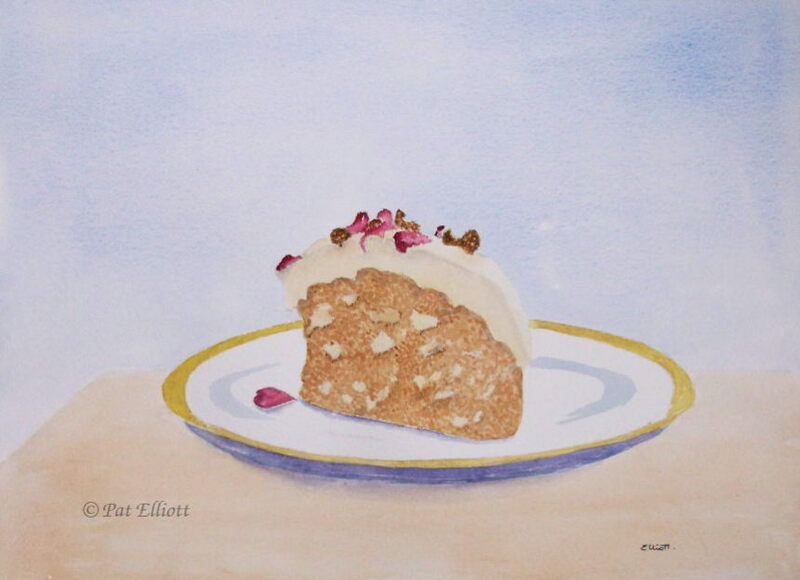 Are you famished for cake yet? Mint choc chip muffins at Sean's. Absolute little beauties they were. Are you ready to visit Sean's yet? If you are ever in Cupar, Fife - he is just off the High Street (Bonnygate) in a street called Lady Wynd. Doesn't Cupar have the most delightful street names? 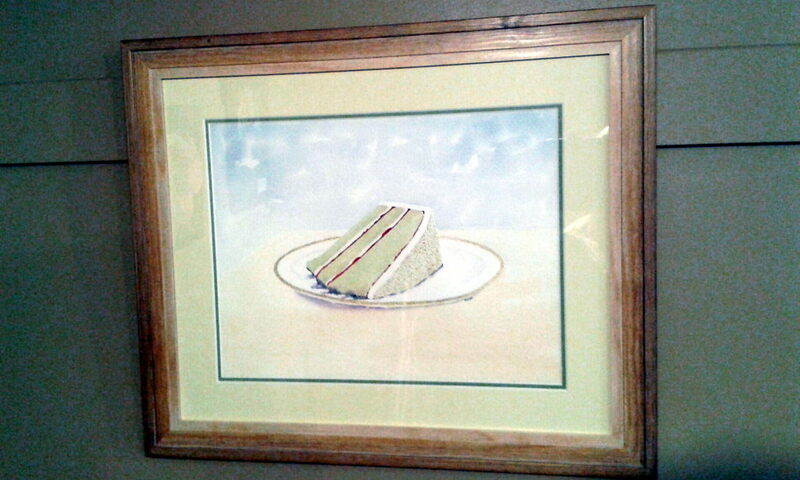 It also has the most delightful cake in Sean's Coffee Shop! 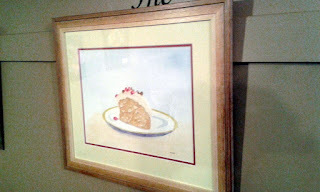 Again, framed by Elite Framing and painted on St Cuthbert's Mill SW140 Rough paper. Rose petals and walnut cake at Sean's. Yesterday we went to the official relaunch day at Sean's. We had a lovely time, the coffee shop was crowded and there was a joyful buzz about the place. Sean has created a lovely shop, great atmosphere and heavenly food. He took time to come and tell me that people had been admiring my paintings, which was such a kind thing to do, on a busy day! We also met his Mum, who was great fun, very youthful looking - and immensely proud of her boy. Rightly so! As always, framed by Elite Framing Cupar and painted on St Cuthbert's Mill Saunders Waterford 140lb Rough paper. Sean's is the dog friendly cafe in Lady Wynd, Cupar. 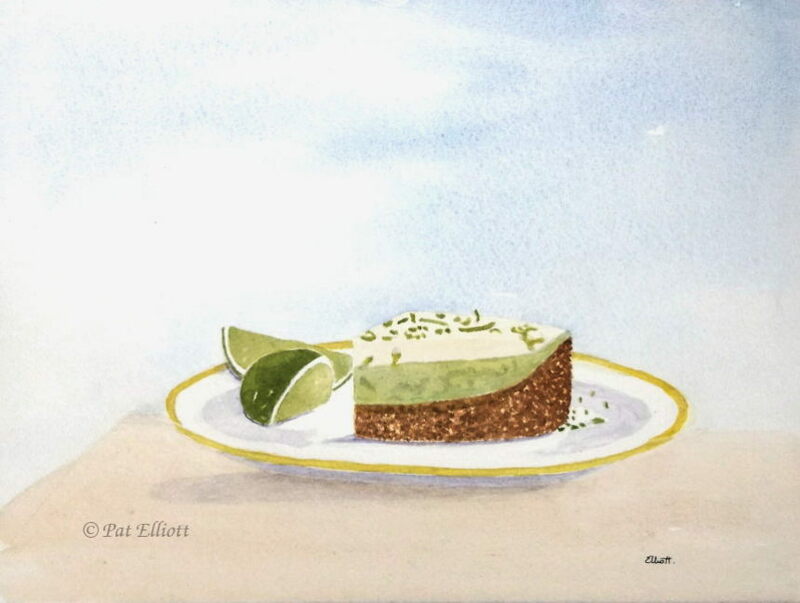 This painting was framed by Elite Framing Cupar and you'll be able to see all the framed paintings in one post, at the end of this painting bonanza! 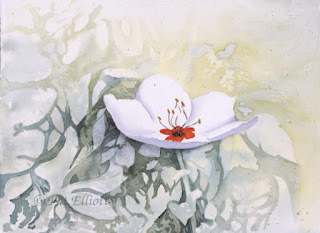 All of the paintings were painted on St Cuthbert's Mill Saunders Waterford 140lb Rough paper . They produce the most wonderful papers for all types of creatives! 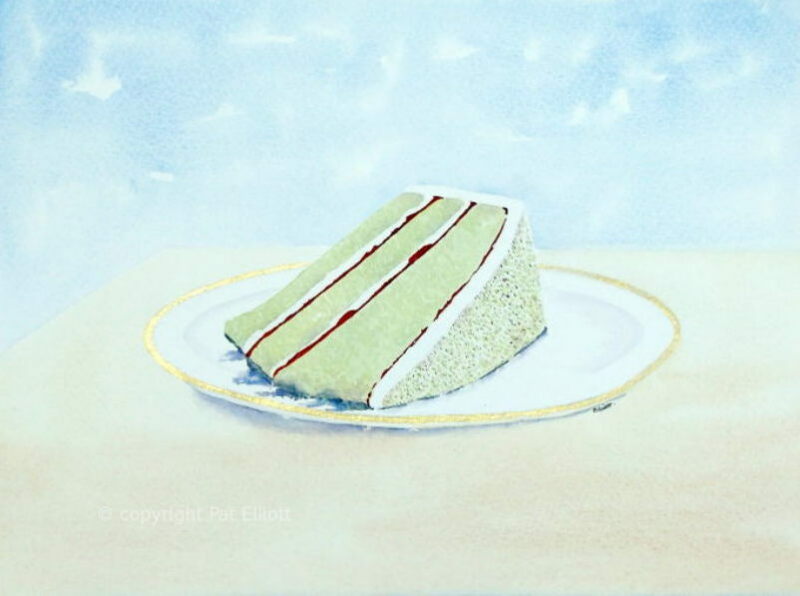 Green Tea Cake at Sean's. 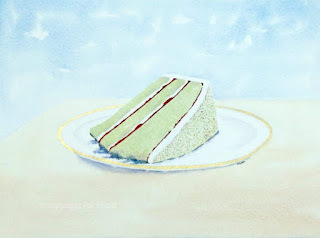 a little while back, I posted a painting called Green Tea Cake at Coffee and Kilts. 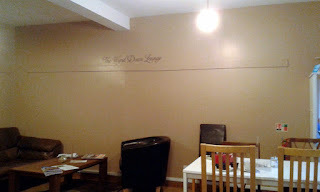 The owner Sean liked my painting so much he asked me to paint some more for his shop re-branding launch! Today, Coffee and Kilts became Sean's. 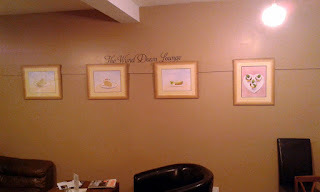 Still the same divine food, but a new logo and five of my paintings hanging there. 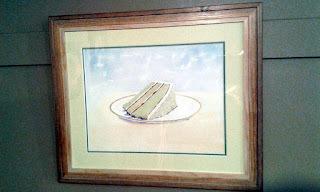 and the painting that started it..
Green Tea Cake ... at Sean's!